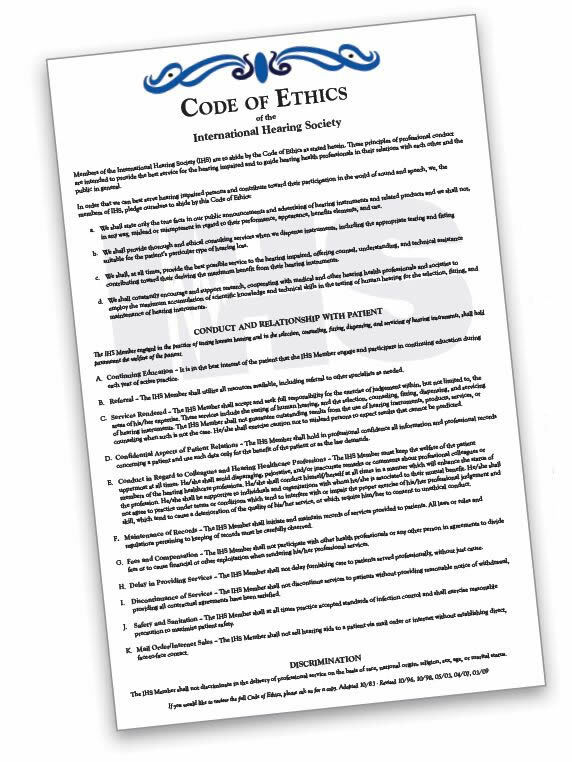 IHS Code of Ethics Wall Display 11" x 17"
Developed especially for hearing healthcare professionals like you, this 24-page, full-color guide, takes your patients through basic hearing anatomy, types of hearing loss, the benefits and varieties of hearing aids, and even includes answers to commonly asked questions. Fits easily into a #10 envelope for mailing, or display in your office! Comes in packs of 50. The NEW Distance Learning for Professionals in Hearing Health Sciences course is the premier study course for those considering a career in the hearing healthcare field and preparing for competency exams. When paired with a seasoned sponsor, the NEW course and Trainer Manual will prime a qualified student or apprentice for licensure as a hearing aid specialist. 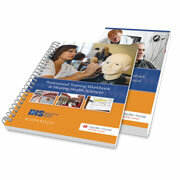 This is your investment in a rewarding career - buy the package & save now! 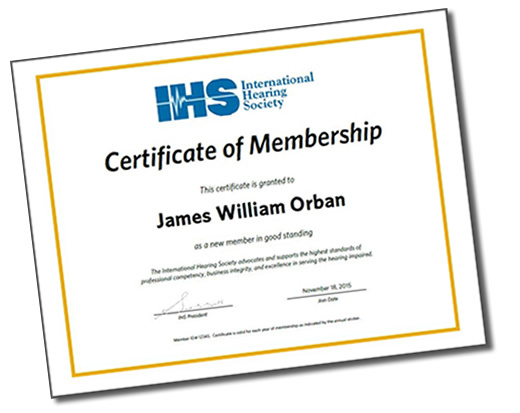 **For IHS Members only** The standard 8.5x11 IHS member certificate is a great way to show off your professionalism. Printed on an embossed linen stock with gold foiling. Framing is not included. If you are outside the US or Canada, choose this subscription to receive THP. The Hearing Professional magazine is the official publication of the International Hearing Society. This quarterly publication includes industry news, membership highlights and best practices, hearing healthcare legislation, and other information and tools for hearing healthcare professionals. The Hearing Professional magazine is the official publication of the International Hearing Society. 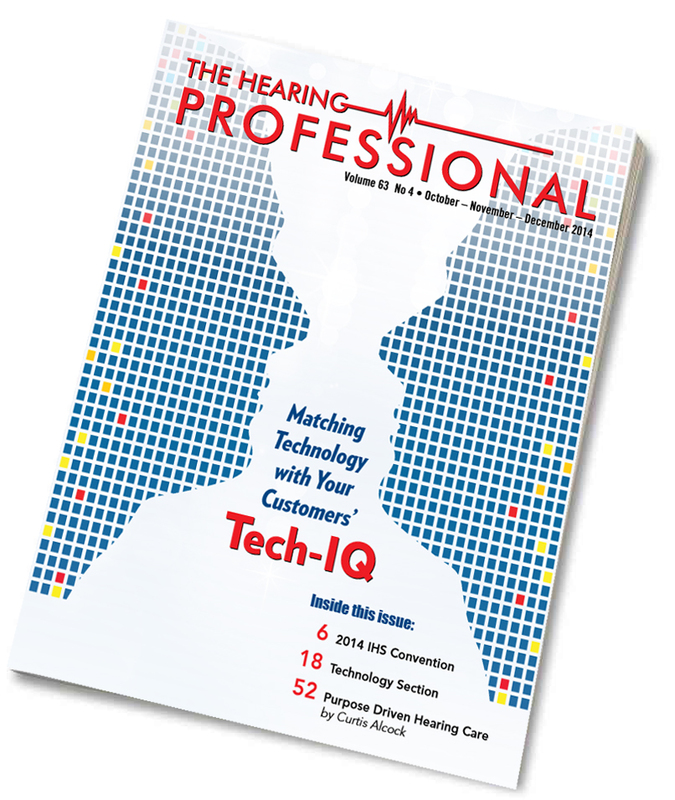 This quarterly publication includes industry news, membership highlights and best practices, hearing healthcare legislation, and other information and tools for hearing healthcare professionals. 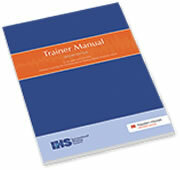 Experienced sponsors can teach core skills, track their employee's progress, and elevate the expertise at their practice with one easy and comprehensive tool - the IHS Trainer Manual. 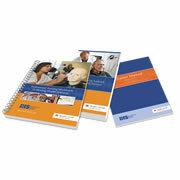 The second edition is the companion to the NEW course.